Composition book contains 80 sheets of 15 lb. 5 x 5 quad-ruled paper. 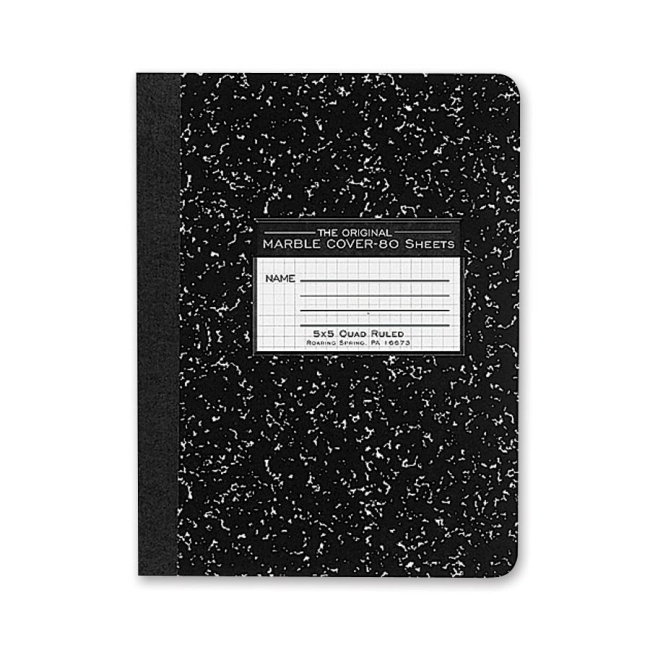 Ideal for school lab reports and note-taking. Design features a center-sewn hard cover.